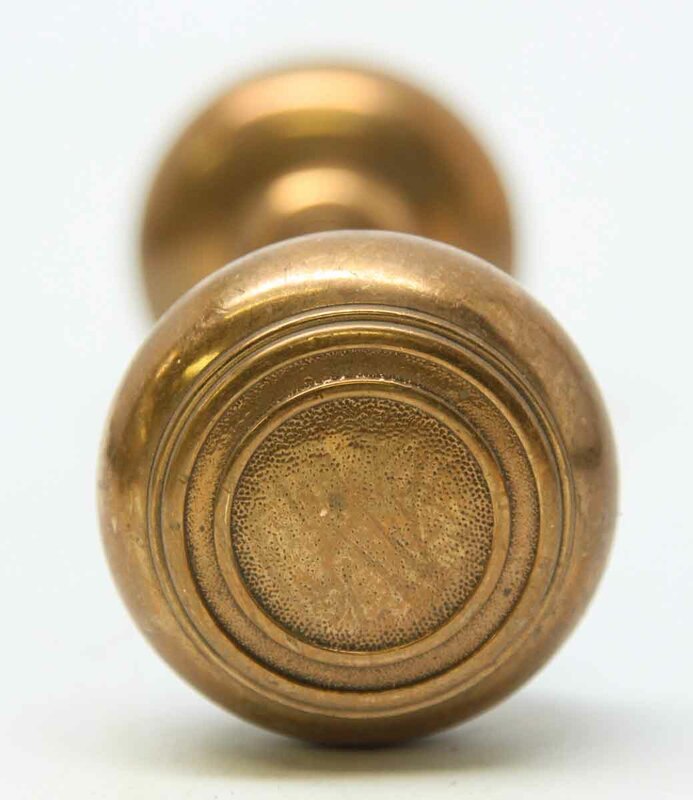 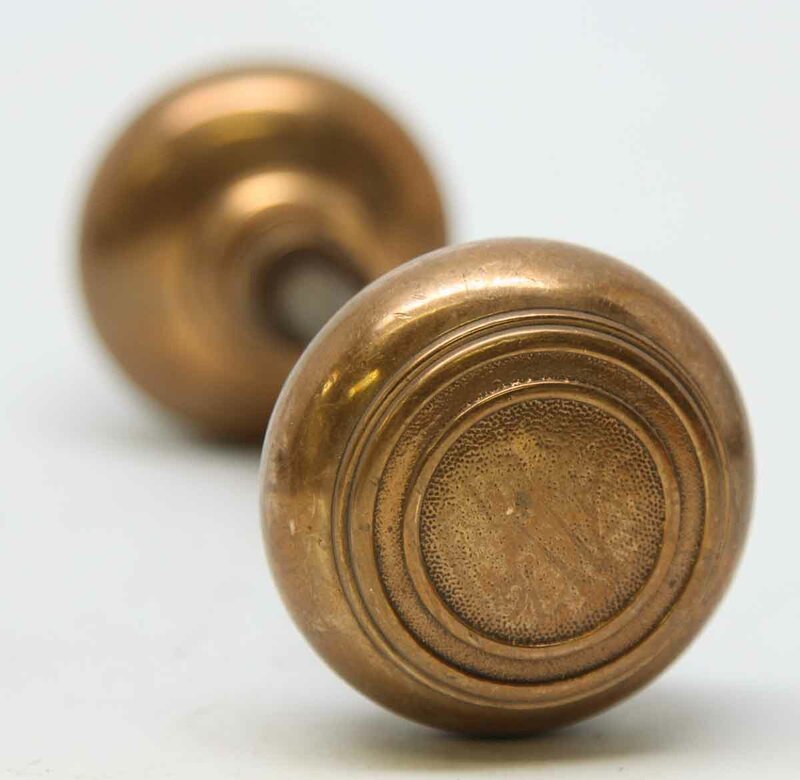 Cast bronze doorknobs with a concentric design. 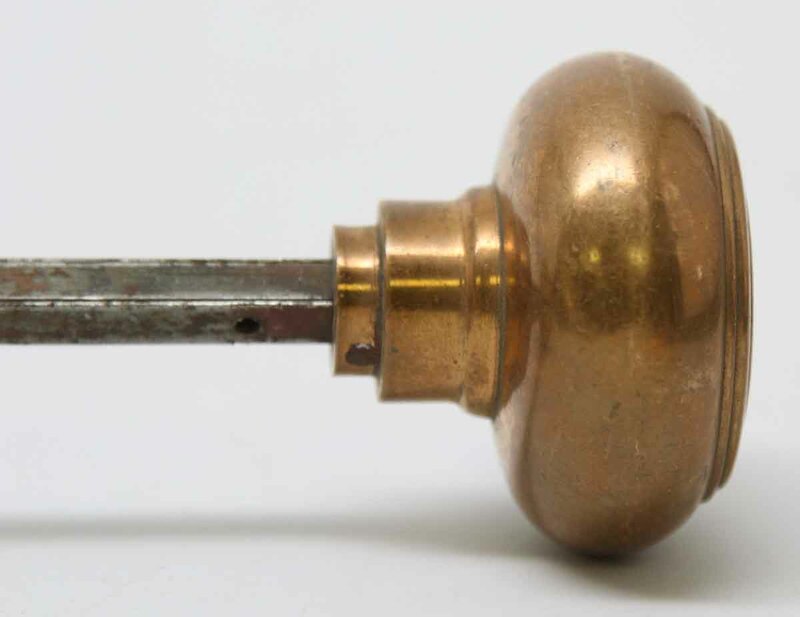 The manufacturer is unknown. 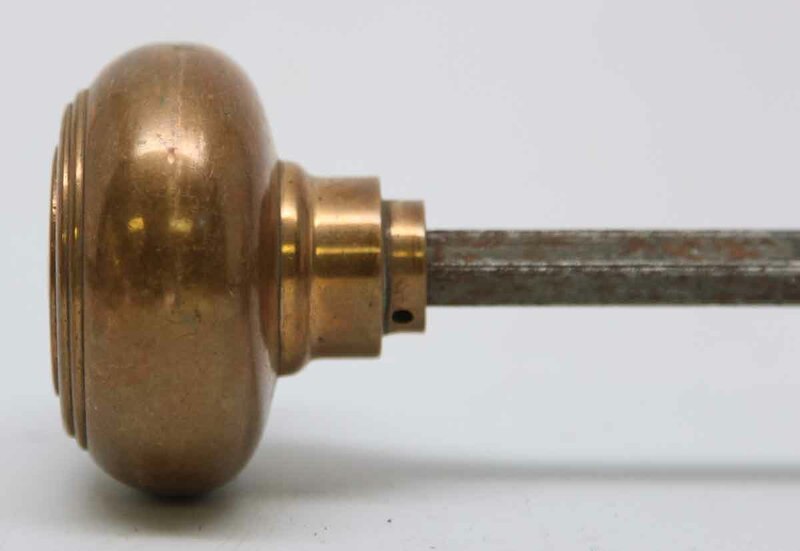 Priced as a pair of knobs with spindle.